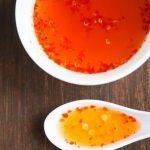 If you like super spicy hot sauce, you have to give this homemade Fresh Thai Chili Garlic Sauce recipe a try. 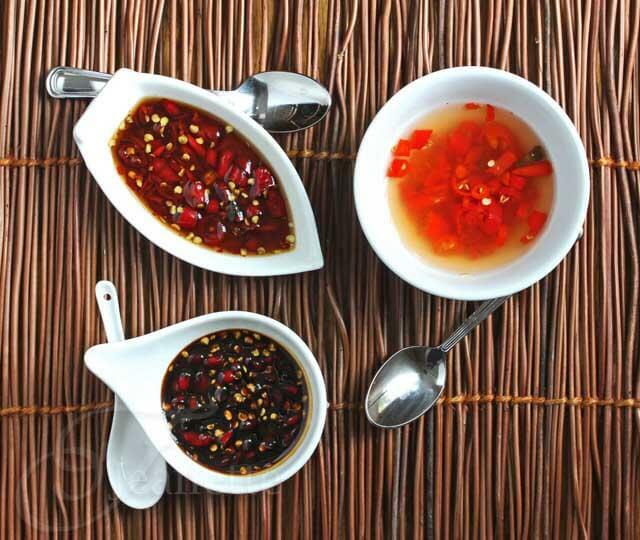 Danger: This Fresh Thai Chili Garlic Sauce is for serious hot chili afficianados. Do not attempt unless you are willing to have your nostril hairs burned off! I’m not trying to scare you off, just making sure you’re in the know before you try this XXXtra Hot Chili Sauce. 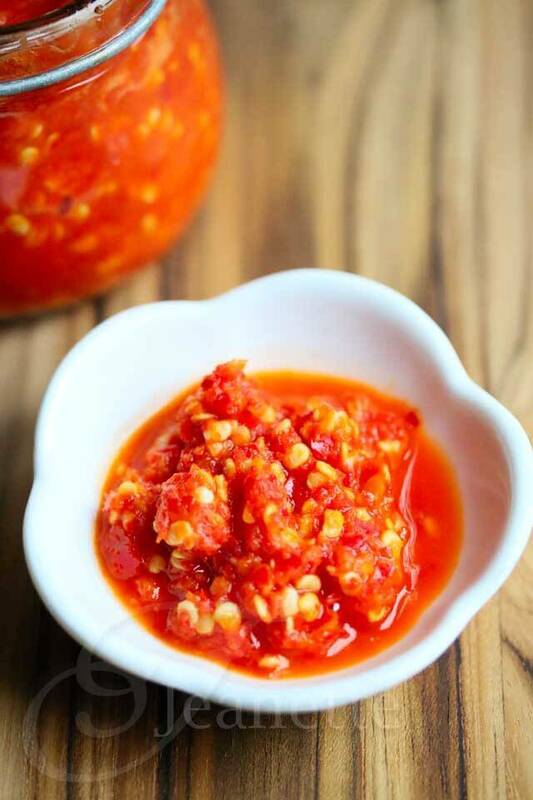 Made with fresh Thai chilies, including all their seeds (that’s what makes chilies super spicy), this Thai Chili Garlic Sauce is similar to sambal oelek that you’ll find at the supermarket, except it’s fresh-made. 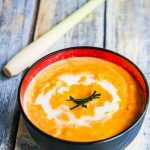 Make sure you don’t rub your eyes after making this sauce until you’ve thoroughly washed your hands with soap and water. As I was buzzing the chilies around in my food processor, the vapors made my nose run and I was sneezing by the end of it. Warning: Do not going anywhere close to the food processor while it is working on the chili sauce. I let this Thai Chili Sauce “mature” or ferment on my countertop for a week, covered with a little plastic wrap. I think the extra bit of aging makes a big difference in the end product. 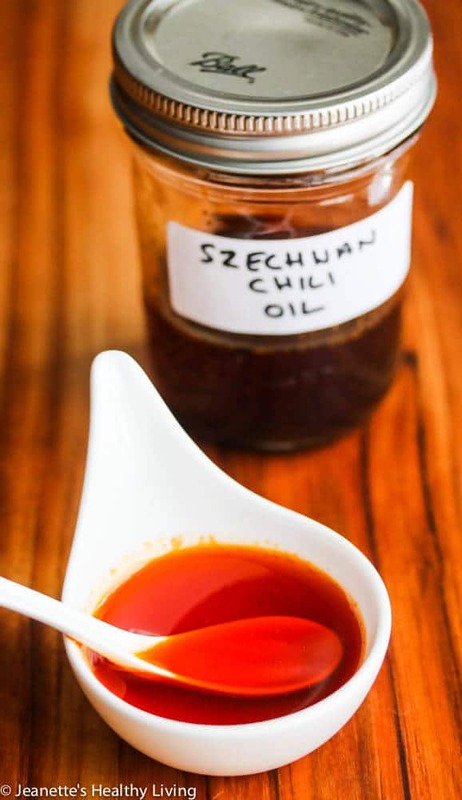 This chili sauce is seriously good and seriously hot! This chili sauce is scorchingly hot! Beware! Remove the seeds if you want a milder version of this chili sauce. Place all ingredients in a food processor and process until finely chopped. Store in a glass container and cover with plastic wrap. Let sit on the countertop for a week to develop flavors. Refrigerate after that. Yum! Let the nostril hair burning begin! just made a giant batch using left over jalepenios from the garden that turned red. They were so hot I had to water it down with a bunch of green peppers. Ended up w. about 8c. 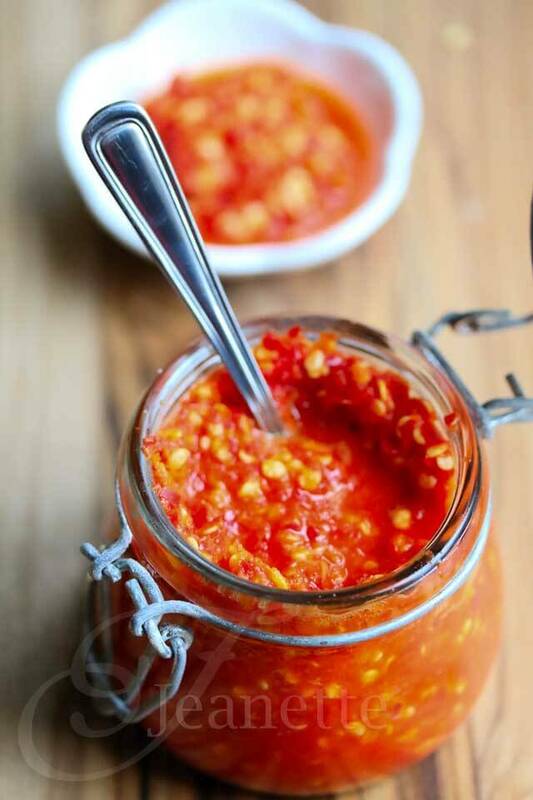 I will process it in the steam canner in small jars and have for many delicious thai recipes. (new lids good 18mo) In addition I roasted half of the peppers and added the fresh ones to them, and got the thumbs up from my hubs so I guess we’re good. Thanks so much for this recipe. Only tip I can add is to wear latex gloves or be certain to wash your hands and scrub under the nails with almost hot water to get all the hot oils off your skin. 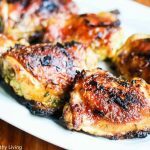 Thanks so much for sharing your modifications – love the idea of roasting some of the peppers! Thai chilies..oh boy..you def don’t want to mess around with these. I learned this the hard way. Thanks for the tip on allowing it to ferment for a bit before refrigerating! Love this! I am going to make some. Awesome! 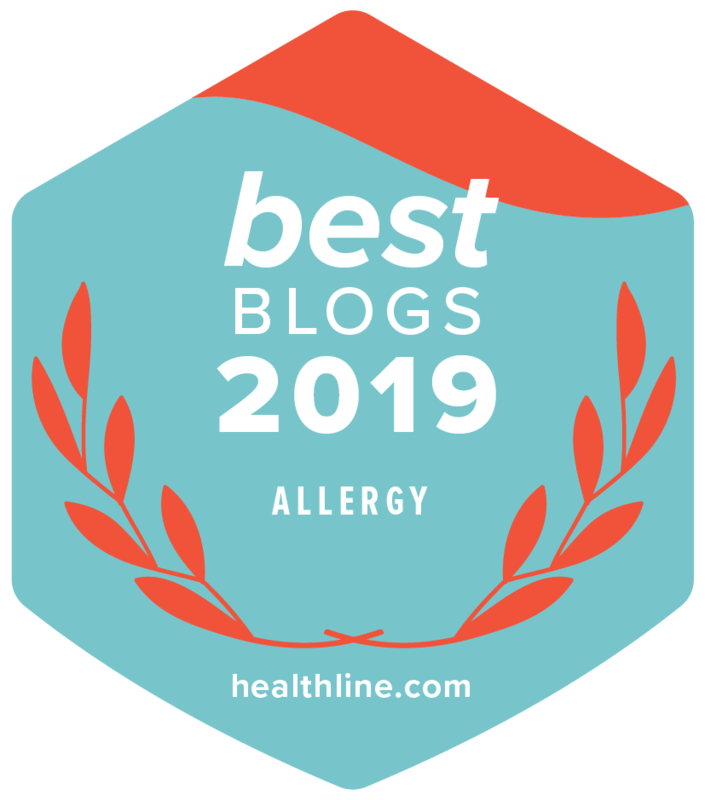 My husband and I will have sweaty foreheads and runny noses galore! Like others, I, too love the idea of letting it ferment a bit before refrigerating. This sauce is absolutely perfect! 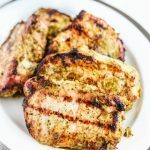 We are always looking for ways to give a bit of heat to our food, and I can’t wait to try this. 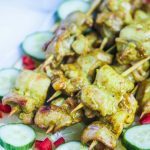 Thanks Shaina – we love spicy food in our house! Great idea to make homemade version with organic sugar and good quality ingredients! Love it, I can’t wait to try it! It is just the two of us…how long do you think it lasts in the fridge? Shawn – I think it should keep for a couple of weeks, just top it off with vinegar. 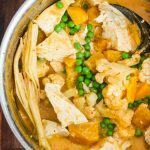 This would be a huge hit at our house – we love spicy food 🙂 Great tip about not rubbing your eyes too – I’ve learned the hard way in the past haha 😉 Great recipe and the color is gorgeous! I would suggest processing it in the food processor & scooping into a glass container …… Outside ! Then bring the glass container in to ferment on your countertop. I make my own horseradish…and I “have to” do it outside too. Laurie – it is super strong! That’s a great suggestion. Paul – your version sounds delicious. I like fermenting hot sauce too for better flavor. I have some papaya habanero hot sauce fermenting on my window sill now. I fermented the chilies first for 9 days, then blended it with papaya, vinegar, mustard, garlic powder and onion powder, and am going to let it sit for another 5 or so days. That sounds absolutely lovely, it’s great to take a recipe and put your own flair and taste into it. I grew a bunch of Thai chiles this year so will try your recipe. Do you think it can be frozen? I haven’t tried freezing this, but I don’t see why it can’t be frozen. Genius idea to let this ferment on the counter! 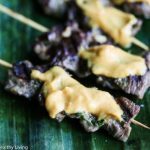 Gives it a distinctly funky yet oh so good Thai flavor. 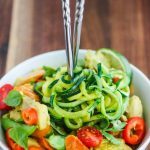 Have you tried making this with a mortart and pestle? I wonder if it would help with keeping the tear gas effect from the chiles? Making this today. 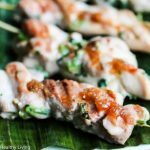 Love Thai chili recipes of any kind. Thank you! 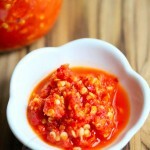 Hope you enjoy this Thai chili sauce recipe! How long can you keep this sauce for? This should keep for a few weeks in the refrigerator. 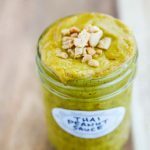 Can the thai pepper sauce be “canned” or preserved? Hi Jan, I haven’t tried canning this, but I don’t see why it can’t be. How long will the sauce last? 2 months? The sauce can keep quite a long time – not sure if it will keep 2 months, but I’ve never had it go bad for a month if kept refrigerated. 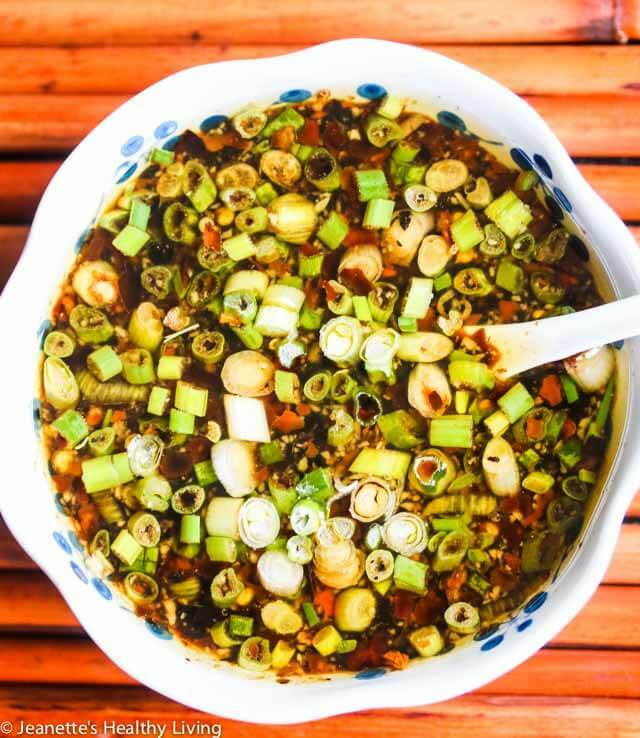 Will this recipe work with Sichuan chili flakes? If so, how much should be used? Hi Sue, I’ve never had a problem with this. Having said that, I find the best testers are your eyes and your nose. If it looks good and smells good, it should be fine. If it smells off or looks off, I would not use it. 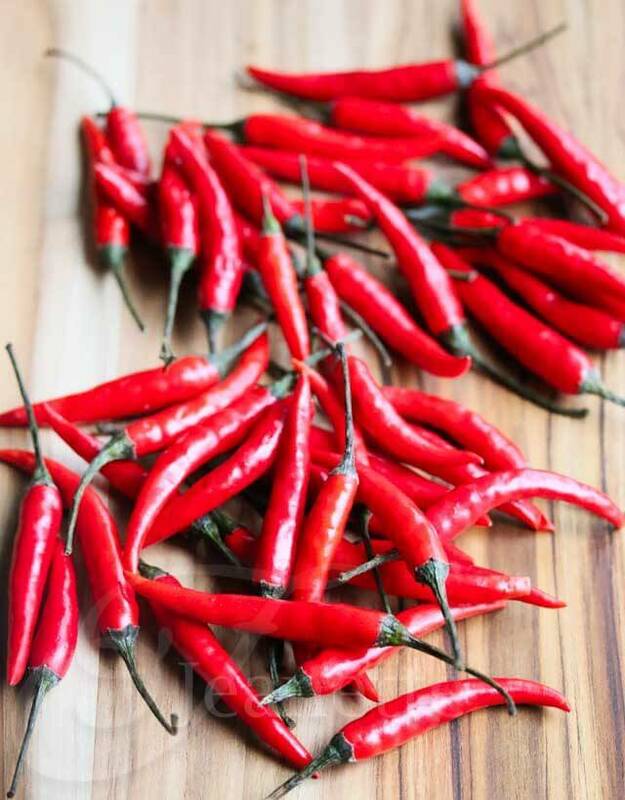 I’ve done some reading and I think as long as you were careful to wash the peppers well, chop them finely and left them at room temperature when it was not too warm, it should be ok.